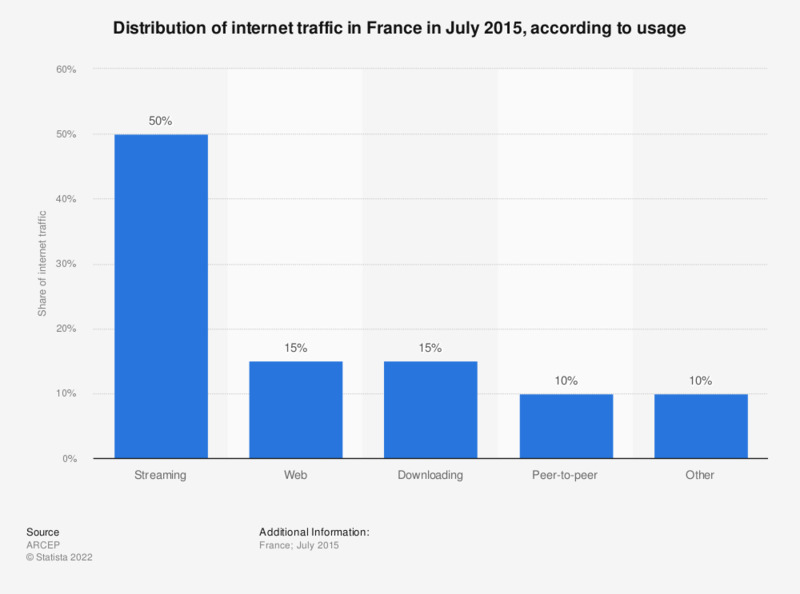 This graph shows the distribution of internet traffic in France during the month of July 2015, according to usage. Peer-to-Peer (P2P), used in particular to share files between computers, constituted 10 percent of Internet traffic at this time. It is interesting to note that the streaming , which requires a lot bandwidth, accounted for half of the internet traffic in France during the summer of 2015.